Reviews: These thoughtful discussions of past and present Korean films are the lynchpin of Modern Korean Cinema. Depending on the film and the reviewer's impression they may differ in style but are always topical, never rushed, and above all, honest. Features: Modern Korean Cinema plays host to a number of different pieces which can range from academic essays, awards coverage, or industry analysis to top 10s, festival reports and other special events hosted on the site. Festivals: Previews and day by day coverage of film festivals that Modern Korean Cinema participates in. Korean Box Office Update: Early and detailed analysis of the fortunes of local films playing at Korean cinemas. There's always a story to tell as homegrown hits face off against Hollywood blockbusters and unexpected films grip the nation. The Korean Box Office Update appears every Sunday night (Korea Standard Time). Columns: Various running features appear on the site, including Kyu Hyun Kim's Dr. Q's MKC Rants and the MKC Though Leaders Corner. In addition to the above, Modern Korean Cinema also features an Upcoming Releases page which is frequently updated, the most detailed resource of its kind available on the internet in English. Various events are also hosted on the website which include Jopok Week, Revenge Week and the 2nd Korean Cinema Blogathon. To keep up with the best in Korean film you can sign up to our RSS Feed, like us on Facebook, add us on Google+ or follow us on Twitter. Pierce Conran is the founder and editor of Modern Korean Cinema, a journalist for the Korean Film Council's KoBiz website, the Korean correspondent for Twitchfilm and consultant for the Fribourg International Film Festival. His writing has featured in numerous books, publications and websites, such as Senses of Cinema, Scope Film Journal, The Hankyoreh, Fangoria and the Directory of World Cinema: South Korea. Recently, Pierce set up the company Mr2 Films with the independent Korean filmmaker Lee Sang-woo (Mother Is a Whore, Barbie). Dear Dictator, his first title as a producer, premiered in the Jeonju International Film Festival’s Korean Cinemascape Section in 2014. His upcoming titles with director Lee include I Am Trash, Dirty Romance and Speed. Previously, Pierce acted as the distribution consultant on Jang Kunjae’s Sleepless Night. In 2014, Pierce was invited to take part in the pre-selection jury for the Seoul International Carton and Animation Film Festival. He is also the host of KOFIC's Korean Cinema Today Podcast and appears weekly on Arirang TV, in addition to guest appearances on a variety of TV and radio outlets such as EBS, TBS and KBS. In addition to MKC, Rex Baylon is a contributor to VCinema and The Post American. Patryk Czekaj is a journalism student at the University of Warsaw, Poland. He writes for Twitchfilm.com and occasionally contributes to Japancinema.net. He's been deeply interested in Asian cinema, long-distance travels and Japanese culture since childhood. Nowadays he tries to connect all those passions while tweeting @patrykczekaj. You can also find him blogging about films at http://patrykczekaj.wordpress.com. John A. Riley is from England but currently lives in Gumi, South Korea. He has worked variously as a writer, bureaucrat, university lecturer, factotum, video technician and English language teacher. He writes regularly about film for a wide range of publications, including Electric Sheep, Bright Lights Film Journal and Desistfilm, where he is also on the editorial team. When not teaching or writing he can usually be found sleeping. A lifelong fan of Asian cinema, Hieu Chau's love for film is owed entirely to Park Chan-wook's Oldboy. Based in Melbourne, Australia, Hieu is the current Entertainment Editor for international student news publication, Meld Magazine. He also contributes reviews and interviews to Japan Cinema. Outside of film, he loves to engage with comics, professional wrestling and gaming. For more on Hieu, you can find him spout nonsense on his Twitter page, @HieuChau or see what his thoughts are on some of the films he's seen over at his blog, Musing with Hieu. Euegene Kwon, a Korean who has spent most of his life overseas, is a freelance interpreter, translator and writer of film/literary criticism based in Gyeonggi-do, South Korea. Kyu Hyun Kim is an Associate Professor of Japanese and Korean History, University of California, Davis as well as a contributor to koreanfilm.org. David Bell is an English Professor in Anyang, just south of Seoul. 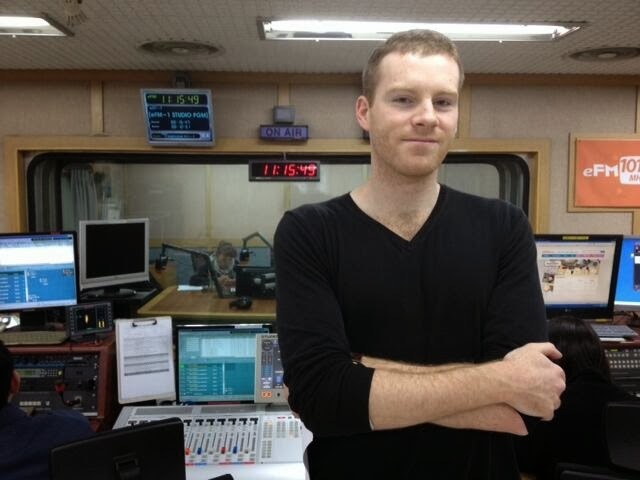 Fabien Schneider is a Masters Student in Lausanne, Switzerland, specializing in Korean film. Peter Gutiérrez writes for Twitch and School Library Journal and has also written about pop culture for The New York Times, TribecaFilm.Com and The Financial Times. He can be counted on for too-frequent film and pop culture updates on Twitter via @Peter_Gutierrez. Darcy Paquet is the founder of Koreanfilm.org, and the author of New Korean Cinema: Breaking the Waves (2009). Kieran Tully is Marketing and Festivals Manager of the Korean Cultural Office in Sydney, where he coordinates a weekly film night (Cinema on the Park) and the Korean Film Festival (KOFFIA). He is currently completing a Masters of Arts on Asian Film in Australia, has worked at more than 15 film festivals across Sydney, and writes about film on the blog Tully’s Recall. Rowena Santos Aquino recently obtained her doctorate degree in Cinema and Media Studies. She is a contributing writer to Asia Pacific Arts. She has also contributed to other online outlets, such as Midnight Eye and Red Feather, and to print journals, including Transnational Cinemas and Asian Cinema. She also loves football. She can be found musing about film and football on her twitter page. Connor McMorran currently lives in Scotland, and has been a fan of Asian Cinema since stumbling across a late night screening of Hideo Nakata’s Ring on TV in 2002. Last year he received his Bachelor’s Degree in Film Studies, and he currently reviews films at his blog Rainy Day, and is hoping to enter further education this year.